It seems that Google has recently been having a rather bad case of the hiccups. In terms of search engine rankings, business websites have been moving up and now faster than the Space Needle at Disney. With the recent downturn of the economy, an increasing number of business owners have been questioning whether or not search engine optimization is the route they should be following. Even with the frequent algorithm changes of one of the largest search engines in the world, SEO still provides financial justification for its investment. What Are the Most Recent Shifts? 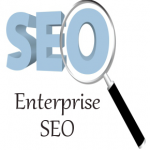 Many search engine optimization experts have called 2012 the dark days of SEO. Never before have marketers seen online ecosystems change so quickly or dramatically. Reputations have been shattered. Fraudulent SEO techniques have been exposed more rapidly than ever before, and the perpetrators have been punished severely. At times, it has seemed like practitioners of perfectly legitimate white hat techniques have been punished at will. There are few of us who understand the whys or hows of how this has happened. Unfortunately, these trends show no signs of dissipating in the near future. Quick fixes are no longer a viable option with all of the changes that Google has recently made. Even with the future difficulties ahead, search engine optimization still is one of the best marketing investments that your business can make. The primary goal of content marketing is not to simply produce more content. Its goal is to attract business for your business. Unfortunately, a considerable number of business owners continue to undervalue the potential power of search engine optimization. Additionally, they fail to adequately analyze this data thoroughly. SEO should not be considered just another cost on your list to cross off. You must begin to view it as a valuable investment. The ability to launch new products more effectively. As an additional bonus, the info that you uncover through search engine optimization can limit your company’s overall risk when you are entering new markets. This information can be used to identify areas of low demand or segments of the market where there is an extremely high amount of competition. 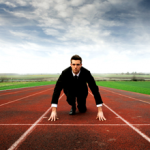 Will SEO Give My Business a Competitive Edge? It is a sad reality that many business owners buy into the myths and misinformation that surrounds SEO. They believe that SEO marketing firms, like us here at Webati, exist only to sell promises of first page rankings. While this might have been true to a certain extent in the past, the face of SEO has evolved and changed. 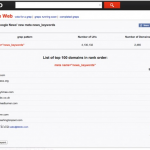 What can we expect the future of search engine optimization to look like? At Webati, it is our belief that audience building and author rankings are going to become critical elements of SEO. Content marketing is going to begin enjoying a broader reach, have a more lasting impact, and enjoy an increase in its longevity. The new face of SEO is going to offer a competitive advantage to companies who quickly and swiftly recognize these changes to SEO and begin incorporating them into their ad campaigns. Even with shaky times ahead, the importance of search engine optimization should not be overlooked. If you feel that you are going to need assistance in the future, contact us here at Webati. Our initial consultation with you is 100% free, and we will be more than happy to show you the way that the new face of SEO can benefit your business.